The only ingredients we’re interested in are the best ingredients we can find. Every recipe we make starts with 100% farm-raised chicken, beef or fish, and all-natural fruits and veggies grown right here in the USA. To us, fresh ingredients make for higher-quality food that is healthier and more delicious. 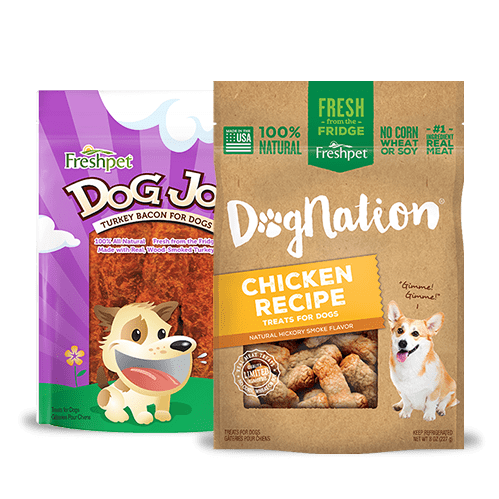 That's why our thoughtfully selected ingredients arrive daily at our Freshpet Kitchens in Bethlehem, PA, and go straight into our recipes. Thoughtfully Prepared. Cooked with Ingenuity. Our recipes are gently steamed at low temperatures to protect the integrity of the ingredients. Then we vacuum seal each meal to lock in the natural goodness and it’s off to the fridge where fresh food belongs. 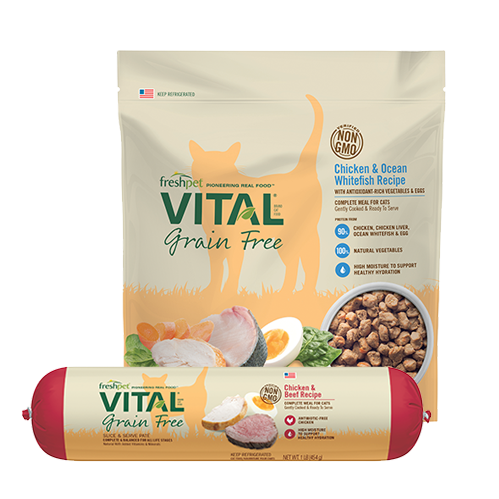 That’s why our pet food is packed with essential micronutrients only found in fresh food. Our Kitchens have higher standards than some people food manufacturers do. 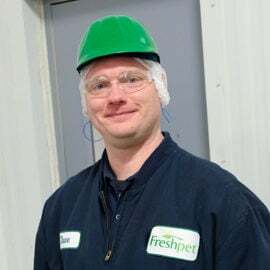 Freshpet Kitchens are registered with APHIS and the FDA. We cook our meals according to FDA and USDA standards. 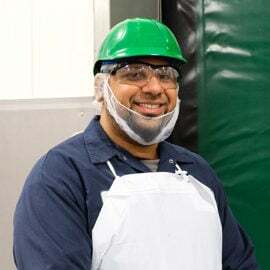 And all of our meals undergo over 20 quality and safety tests before leaving our Kitchens. 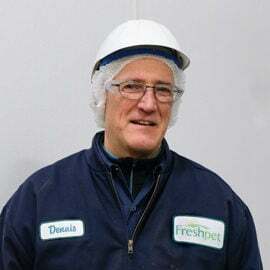 Just like other fresh groceries, our recipes are kept refrigerated from the moment they’re made to the day they arrive in the refrigerator. 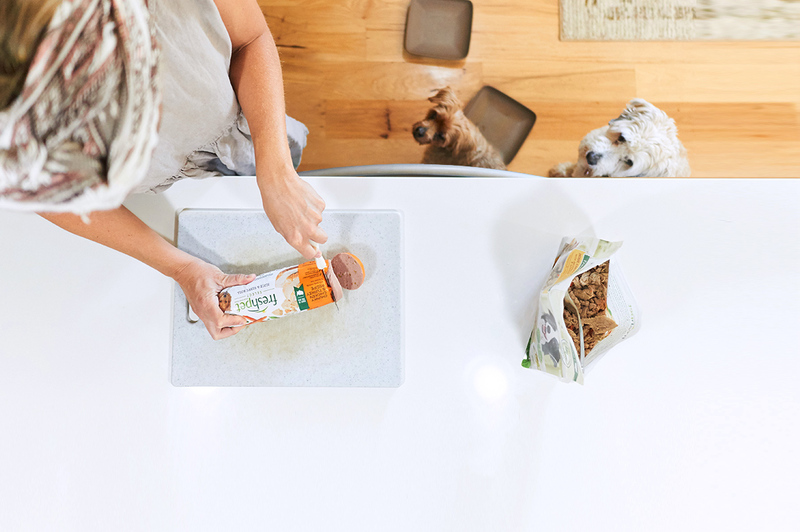 We make food that’s closer to its natural state because it’s easy to digest, more nutritious and, of course, more delicious. 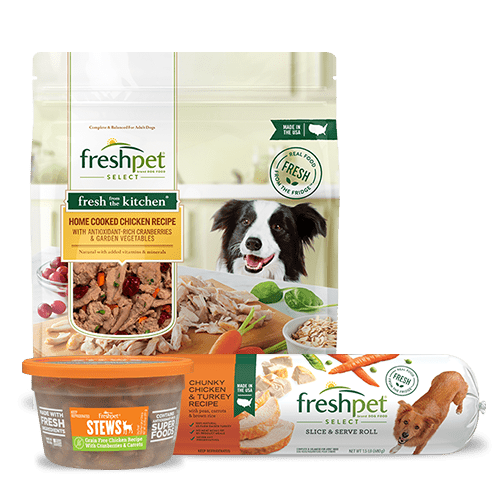 Fresh is what makes our dog food different from the rest. Our recipes are gently steam-cooked at low temperatures to lock in key nutrients. 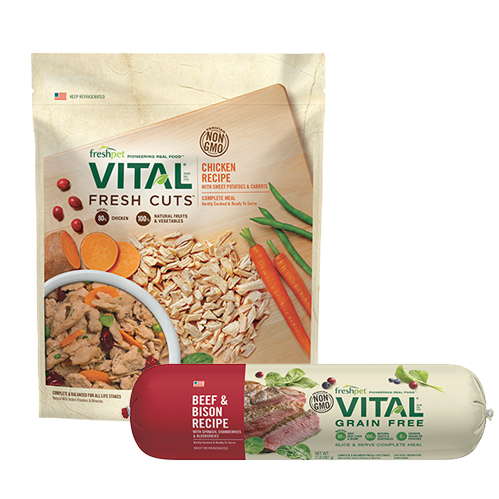 And we never include preservatives, fillers or over-processed "meat powders."